The 5+3/4oz is heavier, and is rigged with a 9/0 hook perfect for large to horse ballyhoo. These are just right for heavier seas, or if you want to run deeper than the 3oz. Each set comes in a roll-up bag for easy storage. 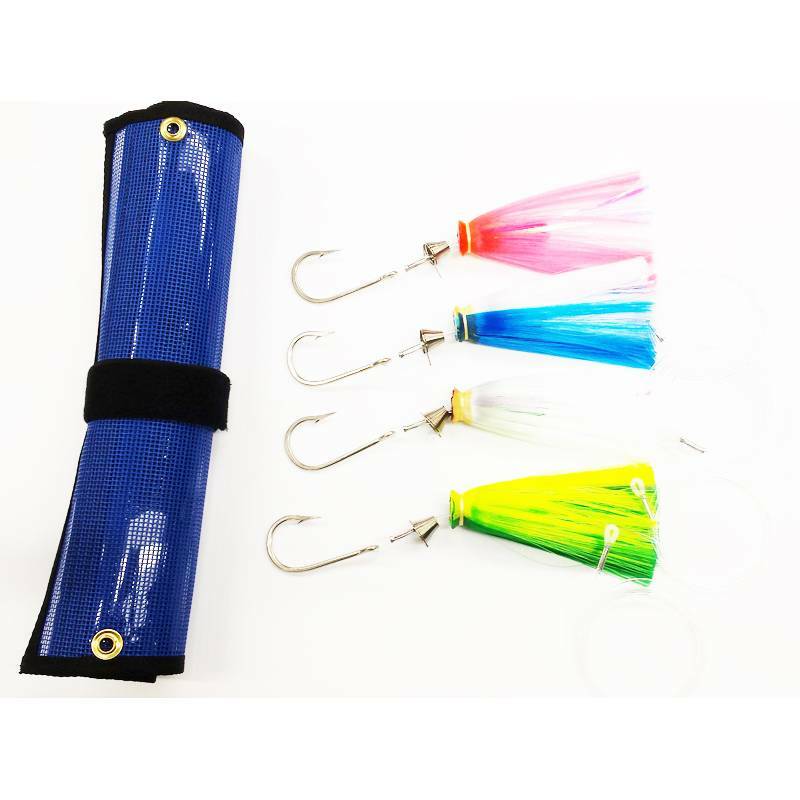 These great lures are also available rigged for Wahoo. 18inches of 275lb Stainless cable with a 6ft length of 200lb mono.